No medals for guessing what Singapore’s mascot is when it hosts the upcoming 2015 Southeast Asian Games (SEA Games): the lion. When it comes to showing our sporting prowess, the Lion city has always enlisted this animal from its founding myth as its representative. 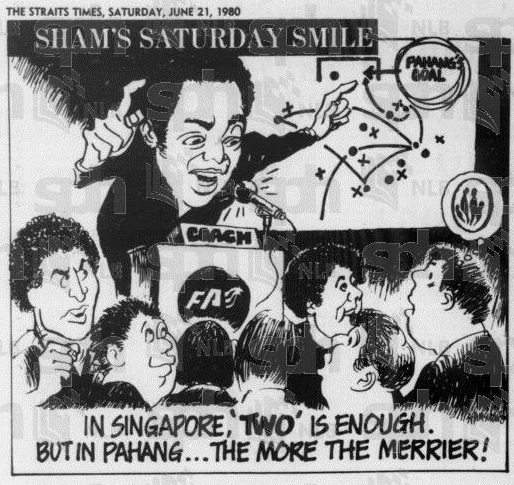 While Singapore had no mascot when it hosted this biennial multi-sporting event in 1973 and 1983, it introduced Singa when it organized the 17th edition of the games in 1993. A creation of The New Paper’s illustrator Lee Hup Kheng, Singa (who shares the same name and fashion statement of wearing no pants as Singapore’s iconic courtesy lion mascot created in 1982), welcomed athletes to the city with lots of love, as it had a heart as its mane, snout and tail. It would take till 2009 before Singapore hosted another major multi-sport event, this time the inaugural Asian Youth Games. Perhaps because it was an event for the young, this mascot designed by illustrator Quek Liwen looked cartoonish and even wore sneakers. Its name “Frasia” meant friends of Asia and came about from a competition. When the city hosted the Youth Olympic Games the next year, it had not one, but two lions. Actually, it was one-and-a-half. While Lyo was a male lion, Merly was actually a female Merlion, a half-lion and half-fish creation that is also Singapore’s official tourism symbol. Again, the youth-oriented games probably explains those cartoonish doll eyes drawn up by the team at Cubix International—the same company that produced Singapore’s first 3D animation feature film, “Zodiac: The Race Begins” in 2006. Singapore (1993) by Lee Hup Kheng, Frasia (2009) by Quek Liwen, Lyo and Merly (2010) by Cubix International, and Nila (2012 & 2014) by Beatrice Cho. Some two decades since our first sporting mascot, it seems two-dimension (and the heart-shape) is back in fashion again, judging by the latest lion mascot for the upcoming SEA Games. Nila (named after Sang Nila Utama, the prince who named this city) was the winning entry by first-year design student Beatrice Cho for the Singapore National Games’ mascot design competition in 2012. For reasons unknown, it is being re-used for next year’s SEA Games when it is hosted in Singapore. Why does Singapore always turn to the lion as its sporting hero? Besides its obvious connotations as the king of the jungle, one can also link it back to the fact that the national football team—the most popular sport in the city—has been called the Lions traditionally. Curiously, it seems the Lions never had a official mascot though.